Lindy Klim and fiancé Adam Ellis are expecting their first child together any day now and the pair are dealing with those last weeks of baby-growing like total champs. Lindy’s Instagram stories have offered a glimpse at how the couple are coping with the often way-too-long wait for their baby’s arrival. Lindy’s already mum to 11-year-old Stella, nine-year-old Rocco and six-year-old Frankie with ex-husband, former Olympic swimmer Michael Klim. While baby number four is not due until Christmas Eve, it’s apparent that this model mum would like to welcome her fresh new bub sooner rather than later. The bump struggle is very, very real. 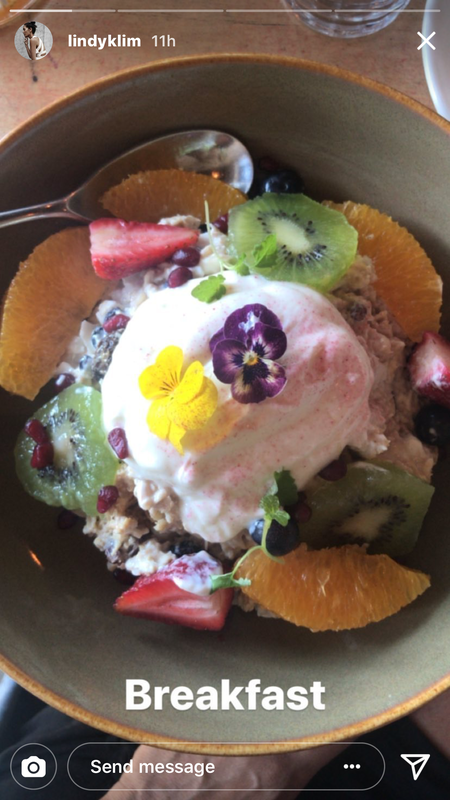 Taking to Instagram, Lindy shared some snaps of a very bolstering, energy-boosting breakfast, proving that she’s earnestly in training for this big event. We like this much more than Victoria Beckham’s breakfast, truth be told. 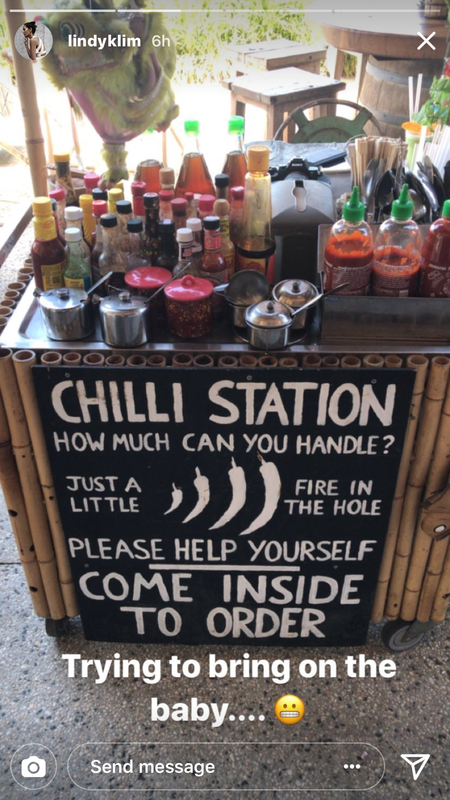 Lindy also uploaded a shot of a chilli station captioning it “trying to bring on the baby”. Anyone who’s been 1000 weeks pregnant, as Lindy probably feels she is, will understand this urge to get things moving. A final shot showed a very handy Adam tying his bride-to-be’s shoelaces. This is a sure sign that bellies are close to capacity – and babies are packing their bags and preparing for the commute to the delivery room. You’ll be stoked to know that Adam’s not only a gun at dealing with out-of-reach footwear, Lindy says he’s a lovely first-time parent-to-be too. The couple got engaged just over a year ago and six months later Lindy was pregnant with a fresh addition to her gorgeous family.